This will also allow us to master the art of creating and protecting refugios generally. I am sure though that we will figure out how to bring back the Ice Age Menagerie as a first priority. There is plenty of work there besides the mammoth. The mastodon could also turn out to be extremely helpful in terms of forest management. Some scientists believe that with current stem cell technology and our completed sequence of the neanderthal genome, we are equipped with the potential to clone a Neanderthal. Bioethicists, however, debate the ethics of cloning Neanderthals — and some think the act is far too inhumane to even attempt. The scientific world was set ablaze of late as discussions ramped up about the resurrection of the wholly mammoth. I know what you’re thinking: Jurassic Park. Well, not quite — but maybe not that far off, either. 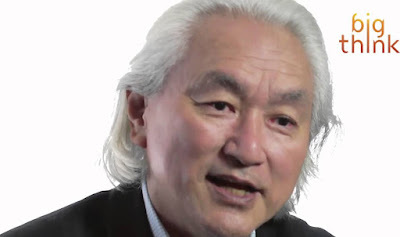 In an interview with Big Think, Dr. Michio Kaku, professor of theoretical physics at the City College of New York, wonders: what if we could clone the Neanderthal, or a dinosaur, based solely off their genomes? It is a plausible question. George Church, geneticist and director of Harvard University’s Church Labs, believes that we can clone a Neanderthal in our lifetime. So much so that he thinks all we need is “one extremely adventurous human female.” While he doesn’t advocate for the project to be attempted straight away, he does encourage discussion on the matter. Church believes that with current stem cell technology and our completed sequence of the Neanderthal genome, we are equipped with the potential to clone a Neanderthal. The Neanderthals went extinct tens of thousands of years ago, so cloning one from recovered DNA would be impressive enough of a feat — but what about something from 65 million years ago? Dr. Kaku addresses this, admitting that cloning a dinosaur won’t be as easy as cloning a Neanderthal or a mammoth (which wouldn’t very “easy” to begin with) — but that doesn’t mean it’s impossible. Dr. Kaku notes that proteins found within the soft tissues of recovered dinosaur femurs resemble those of chickens, frogs, and reptiles — confirm the theory of their relation. He posits that through the use of a supercomputer, a genetic sequence could be produced, which would create theoretical potential for cloning through epigenetics. When it comes to cloning mammoths or dinosaurs, the limitations are mostly technical at this point. With Neanderthals, however, there’s an addition element: ethics. Dr. Kaku asks important questions about what scientists would do after bringing a Neanderthal child to life: Should he or she be placed in captivity like some kind of zoo animal? Would they face a lifetime of study? What if the Neanderthal is naturally aggressive — should it be drugged or confined at all times? Many bioethicists debate the ethics of de-extinction, but there are also those that tout genetic diversity. Others believe the act is far too inhumane to even attempt. Listen to Dr. Kaku’s argument below and decide where you stand on the should-we-or-shouldn’t-we of prehistoric cloning.